©Neil Turner, November 2014. 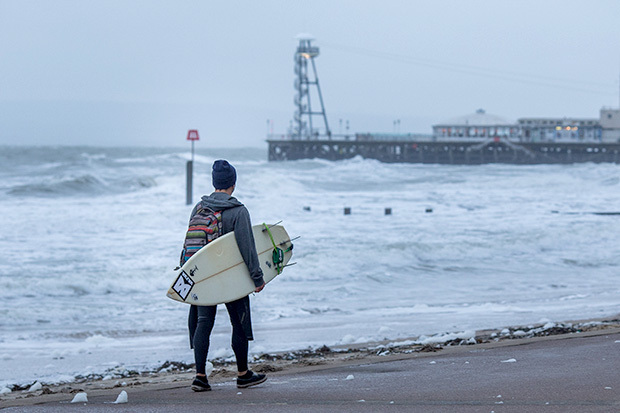 Surfer heads towards Bournemouth Pier as the waves get bigger during a storm. It’s tough to answer because one of the things I love doing in my work is to use as wide a variety of focal lengths as possible and to use the right lens for the situation (if I own it and/or have it with me of course). I’ve written before about the best lens for portraits and I’ve written about zooms versus primes quite recently and so I thought that I’d give a couple of different answers to the question.